BronyCon 2014 is proud to present our Cosplay Costume Contest! Showoff your talents in the “art-of-the-dress” and strut onto the catwalk for all to see—Contestants will compete against each other in front of our judges for the chance to win some fantastic prizes. The Cosplay Costume Contest will be held on Saturday, August 2nd from 1:30 PM to 3:00 PM in Mane Event’s Hall. If you are interested in participating in the contest, please come to pre-judging from 12:00 PM to 1:00 PM on Saturday, August 2nd on the 4th floor lobby. If you or any of your group members are NOT present for pre-judging, you will NOT be able to enter the contest! Please read the following rules, guidelines, and regulations so that on the day of the contest you will be prepared and understand the procedures. If you are part of a group, the entire group must be present at pre-judging in order to register. Should any of your partners be missing during the pre-judging/registration period, you and your group will be unable to compete. Pre-judging/registration will take place an hour and a half before the actual contest, so please be ON TIME so that the contest runs smoothly and on schedule. Pre-Judges will be examining your costume for appropriateness and craftsmanship; you may be disqualified if your costume is deemed irrelevant or inappropriate. If you are unsure if your costume follows the contest’s criteria, please read the costume regulations listed below. 2. Costume Appropriateness and Catwalk Rules. Please follow all of our convention rules during the contest. All contestants must abide to our convention wide Cosplay & Props Policy. Military uniforms, t-shirts of any kind, silly hats, horse masks, or only merchandise or accessories from the Vendor Hall may not be considered an eligible costume. Costumes cannot be profane or inappropriate in anyway. This is a Family Event, please be mindful to our little fillies and colts! No skits during the contest or on the catwalk. One-liners are permitted while on stage, but we cannot promise a provided microphone. No profanity, political statements, or religious statements are permitted on stage. This includes messages on signs or clothing. Do not enter or exit the catwalk in locations other than those designated. If you are a contestant who has special needs, please inform a staff member during pre-judging so that we may be able to assist you. If your costume is large or elaborate, BronyCon cannot be expected to provide assistance (unless this concerns a contestant who is handicapped in any way). You may bring assistants of your own to help you on the catwalk; your costume will be judged separately from your assistants. If your costume disrespects or does not abide to these guidelines and regulations in any way, you will be not admitted into the contest, disqualified, or possibly asked to leave the convention center. 3. Contest Categories. The following are the Cosplay Costume categories. Contestants and their groups can only register for ONE category. Multiple registrations are NOT permitted! Please review the following category summaries so that when you register you can sign up for the appropriate category. The Main 6: This category is for contestants dressed as either: Twilight Sparkle, Fluttershy, Rainbow Dash, Rarity, Pinkie Pie, or Apple Jack. This is NOT a group category. Contestants must walk on stage individually. Villainous Villains: A category for our more “devious” cosplayers dressed as some of the meanest, scariest, bad-to-the-bone, (or misunderstood) villains from My Little Pony. This category may include villain characters from past MLP generations. Most Creative Interpretation of a Character: This category is for contestants dressed as some of the show’s side kick characters, original interpretations of a character, past generation characters, or even as their own original character. Fursuits: A category designed for cosplayers who devote their work to creating amazing life-size pony character suits and costumes. Please make sure that your suit has proper vision and mobility for walking on stage. Best Duo or Group: This category is for contestants who’d rather walk the catwalk with a partner or in a group. Each group must be between 2 to 7 people and cannot exceed this limit. If there are groups larger than 7, you will be asked to split up either individually or as two separate groups. Fillies and Colts: This is a special category just for contestants who are 13 and under where they can show off their wonderful costumes and creativity! Parents may walk on stage with their child but only their child’s costume will be judged. Contestant must be holding a 13-and-Under or a 5-and-Under badge to register for this category. Those holding these badges may register for another category if they wish, but they are still only allowed registration in one category. BronyCon staff members and Cosplay Contest judges are not permitted to enter the contest so as to avoid bias. However, if given permission, you can show off your costume on the catwalk for no prize or reward. Judging for contestants 13 and Under will be more relaxed and flexible in regards to certain rules, criteria, and regulations. However, they still must be present for Pre-Judging/Registration in order to enter the contest. Each category will have a first prize winner and a runner-up prize. There will also be a special prize for the “Best Overall” costume from all categories. By reading these guidelines, you agree to give BronyCon permission to display your costume and likeness on the official BronyCon website and on social media. 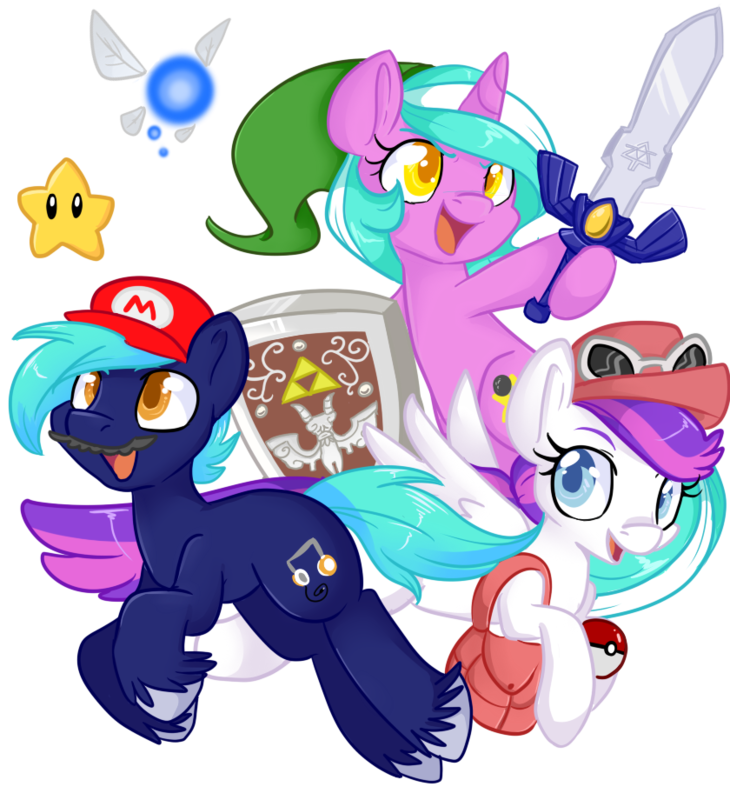 You also agree to follow the rules and regulations of the contest and BronyCon 2014.